North Dakota is fortunate to have abundant natural energy resources – coal, oil, gas, wind, solar, biomass, ethanol, power generation, transmission, and the list goes on. This website is intended to provide the most current information on North Dakota’s incredibly varied and abundant energy sectors. 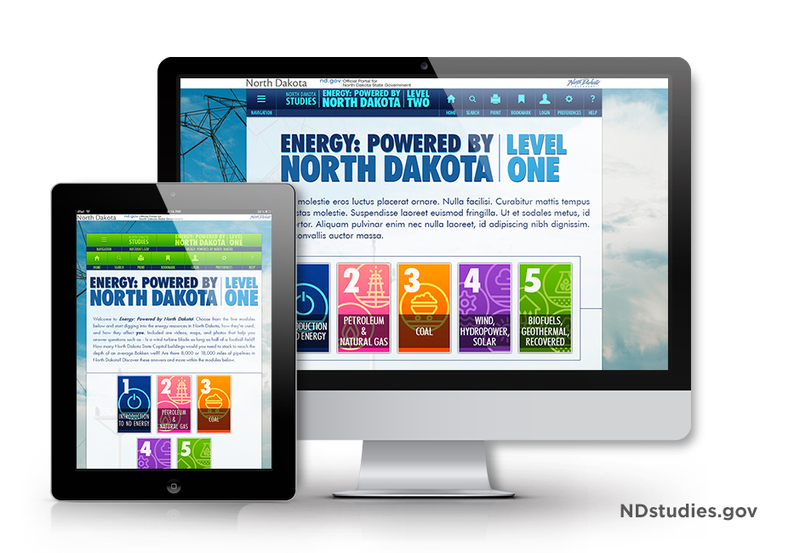 Choose from the sub-menus under “ND Energy Resources” to explore each topic and find links to more information on North Dakota’s energy industry. The Great Plains Energy Corridor also provides a printed annual report – the “Spotlight on Energy” – which wraps up statistics and information on each of North Dakota’s thriving energy sectors. Visit the “Spotlight on Energy” page to see a PDF of the document and to request a hard copy. The Great Plains Energy Corridor, housed at Bismarck State College’s National Energy Center of Excellence, works with partners in government, education and the private sector to promote and enhance North Dakota’s energy development. Together we provide information, education, outreach programs and special events on a wide range of energy topics. As you peruse this website, contact us if you have additional information or links to include. Use the form on the “Contact” page to reach us. North Dakota-specific energy curriculum is available via North Dakota Studies at the State Historical Society of North Dakota. ENERGY: Powered by North Dakota offers two levels of curriculum (Level 1 = 4th grade standards; Level 2 = 8th grade standards) which cover all energy sectors in North Dakota – Petroleum, Lignite, Wind, Solar, Etc. The curriculum includes graphics, maps, photos, and simulations specific to North Dakota industry.